Early in the morning of February 15, 2002, 23 year-old Janet Danahey set fire to a box of party decorations and an old futon as a prank outside her former boyfriend's College Walk apartment in Greensboro, NC. Janet and two girlfriends had been drinking wine on Valentine's night and decided to play a prank on Janet's ex-boyfriend by pouring some clam juice into the car's fresh air intake so that a foul odor would result when the heater was operated. The young man's car was not in the parking lot so it was decided that Janet would instead set a box of Chrismas decorations on fire in front of her ex's door. It was a windy night, the fire quickly got out of control on the wooden breezeway of the wooden apartment building, and it set the apartment building itself on fire, resulting in the horrible deaths of four innocent young people (from left to right): sisters Rachel Llewellyn, 21, and Donna Llewellyn, 24; Ryan Bek, 25; and Elizabeth Harris, 20. Fast-forward to July 29, 2002: Janet Danahey was facing prosecution under a little-known law called the felony murder rule, which states that if a person commits or attempts to commit certain felonies, in this case arson, any deaths which may result from the felony are charged as first-degree murder. Intent to commit murder does not have to be proved, and there are only two possible penalties after being found guilty under the felony murder rule: death, or life in prison without possibility of parole. The law also holds that any persons with the perpetrator of the felony must also be held accountable in the same manner as if they, themselves, were perpetrators of the felony and prosecuted accordingly. Even if the death involved with the underlying felony is unintended, even if the victim dies of fright of a heart attack, it's first-degree murder. And remember, intent does not have to be proved, only the intent to commit the underlying felony—in this case, arson. Read the Frequently Asked Questions (FAQ's) about the felony murder rule. Janet Danahey was threatened with the death penalty if she didn't plead guilty. It is important to note that the two other girls with Janet the night of February 15 were not charged. They hired lawyers who went to authorities with their version of what happened in prepared statements. It is also important to note that no one, not Janet Danahey nor either of her two friends called 911, banged on doors to awaken sleeping apartment residents, or did anything that might have saved lives or prevented injury. They panicked, as anyone may in a situation gone far beyond control. This doesn't excuse their actions, but it perhaps makes their behavior somewhat easier to comprehend. Rather than go through an expensive and no doubt gut-wrenching trial, Janet Danahey, perhaps altruistically, pleaded guilty to four counts of first-degree murder and one count of arson and was immediately sentenced to life in prison without possibility of parole at the North Carolina Correctional Institution for Women in Raleigh. 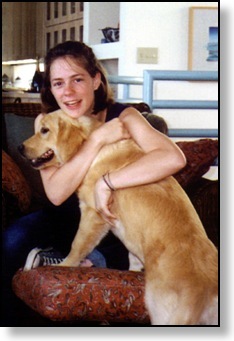 What happened to Janet Danahey could have happened to any of us or to our own children. Youth is often so dangerously careless and carefree in its exuberance. Prosecutors have discretion. Janet Danahey did not have to be charged under the felony murder rule. The felony murder rule in the hands of a prosecutor is sometimes a very dangerous, even lethal, combination. Even so, the Guilford County District Attorney publicly stated that he didn't believe that Janet Danahey intended anything that night other than to burn an old sofa. Why didn't he then prosecute her humanely? Why didn't he prosecute her for involuntary manslaughter? If she had been convicted and her sentences were served consecutively rather than concurrently, she would have still served many years in prison. Of course, a judge and jury could have decided that the sentences should run concurrently and then she could have drawn a maximum sentence that would still have been twenty years or more. Please don't misunderstand. 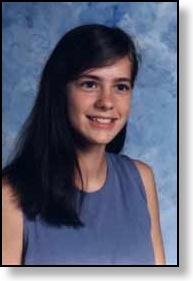 North Carolina Citizens for Felony Murder Rule Change is in no way trying to lessen or diminish the fact that four talented, bright, completely innocent young people died as a result of what Janet Danahey's intended prank caused. Our hearts break for the families and friends of these four young people. The pain, the sorrow of losing a child to death is one that never goes away. People talk of "closure," but when a child is lost, there is no closure. At her sentencing, Janet said, "I never meant to hurt anyone. I'm so sorry. I would never want to hurt them." Janet spoke of a dream she had in which "The angels of [the families'] children have come to me and touched my hand and told me what it felt like to feel their flesh burn." She went on to say "I will spend the rest of my life trying to be a part of you." Perhaps the words of Danahey's sister summed it up best: five lives were lost as a result of the College Walk Apartments fire, not four. Two wrongs don't make a right. Had Janet Danahey been tried under any other NC murder law, she would not be serving a life sentence without parole. All of our other murder laws are predicated on the intent of the perpetrator. That's why we have a gradation of murder laws from first-degree (premeditated) to second-degree, murder laws that deal with crimes of passion, down to manslaughter and involuntary manslaughter. These laws are in place so that the punishment can be proportionate to the intentions of the perpetrator and actual deed. The felony murder rule has no such protection. It is a "gotcha" kind of law, and some important aspects of the FMR have yet to be tested in the US Supreme Court as to their constitutionality. North Carolina Citizens for Felony Murder Rule Change and many criminal lawyers do not believe it is constitutional (See "What's Wrong With The Felony Murder Rule" on this Web site). What checks and balances exist for prosecutorial vengeance and abuse of power other than We the People? Because only an informed citizenry communicating its feelings with convincing, compelling clarity to its elected state representatives can cause laws to be changed, North Carolina Citizens for Felony Murder Rule Change sprang up in response to Janet Danahey's prosecution and sentencing under the Draconian felony murder rule. Janet Danahey, barely more than a college girl, has been convicted under North Carolina's version of the felony murder rule, the most powerful criminal law on our books, which is normally reserved for hardened sociopaths, repeat offenders, and other offenders who show no comprehension or conscience. Unless something extraordinary happens, Janet will die in prison. North Carolina Citizens for Felony Murder Rule Change hope that by repealing or amending the felony murder rule, further more lenient court action may become possible for Janet before she is an old woman. What kind of young woman is Janet Danahey? She made good grades in high school, near the top of her class. Friends and teachers alike describe her as "sweet," lighthearted, but always very responsible and very respectful." "To know her is to love her," said one. She was in the Latin Club and Drama Club -- playing in "Godspell." She won the Girl Scouts highest honor, the Gold Award, for a project that involved working with the Humane Society to rescue animals. She loved animals. She prayed in the mornings before school as a member of the Young Christian Society and played viola in her high school orchestra. 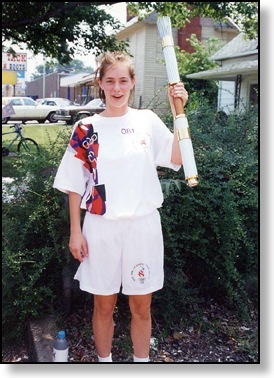 Some of Janet's adult leaders nominated her to carry the Olympic torch on a portion of its run to the 1996 Summer Olympics in Atlanta, and she carried it proudly, wearing her trademark smile. She made the Dean's List her first semester in college at Appalachian State University and later transferred to UNCG to be near a boyfriend. 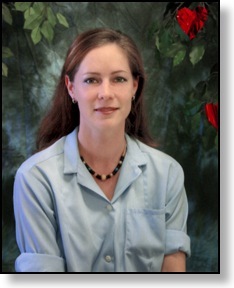 She earned a Bachelor's degree in Business Administration in 2000, and was heard to talk about "saving the environment, and the world." As she began her first tentative forays into post-college life, she talked about going back to school for advanced studies, but wanted to sample some of the real world first. Janet Danahey is not a murderer, but she has been convicted as one. She foolishly, carelessly, and recklessly set an old box of decorations and a futon on fire as a prank and is serving the maximum criminal sentence possible without losing her life. Whatever you may think about Janet Danahey, we hope that you will agree with us that her sentence under North Carolina's felony murder rule is way too harsh for someone who has no past criminal history, and indeed, has otherwise lived an exemplary, positive, and socially-conscious life. The personal tragedy that the felony murder rule can unfairly inflict on people does not stop with Janet Danahey. There have been other such injustices in which others have suffered across the country. See Other Cases on this website for more examples of the consequences of having been prosecuted under this law. Teens, young adults, and even "mature" people don't always think of how their actions might affect others. This doesn't make these actions right, but we must punish them according the details of their situations, rather than take shortcuts to justice. UPDATE: Outgoing Governor McCrory partially commuted Janet's sentence in January 2017 to life with the possibility of parole in 2029. She will be 50 years old at that time.